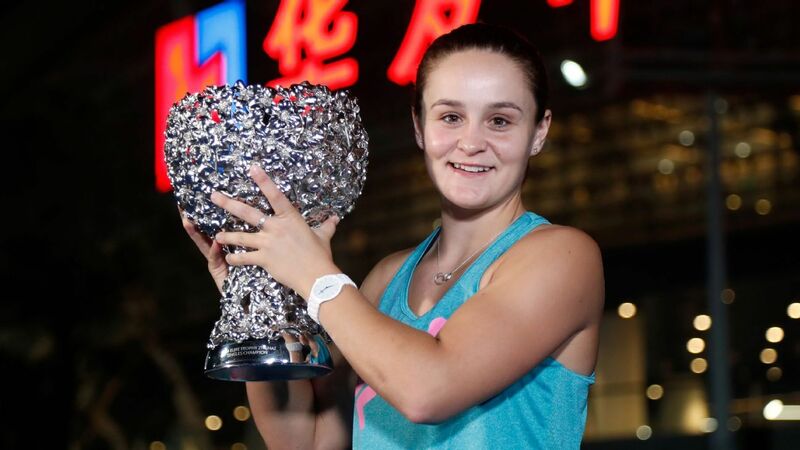 It was Barty’s third WTA title after her triumphs on grass at the Nottingham Open earlier this year and at the 2017 Malaysian Open. While her service was clicking, Barty’s all-court game did the rest and after being forced to save a break point for 2-2, she broke Wang again to go 4-3 up. As Barty attacked, China’s number one was struggling to hold onto her own serve let alone mount a counter-attack, and the Australian sealed the victory with a perfectly executed backhand cross-court volley.